Car stuff = witchcraft. Right? Driving I can do, but anything else – no idea. Until I went to a Ladies’ Night with a difference: free entry, refreshments and no tutus necessary – this was at our local Kwik-Fit. Now I can change a tyre! And so could you! Changing a tyre is something I’ve always thought I’d like to learn but assumed I probably wouldn’t get round to any time soon – like crochet and Spanish. Learn a new skill? 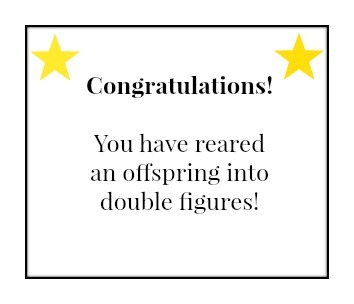 With three kids! a) I haven’t got the time and b) I’m learning plenty already: motherhood is full of challenges. 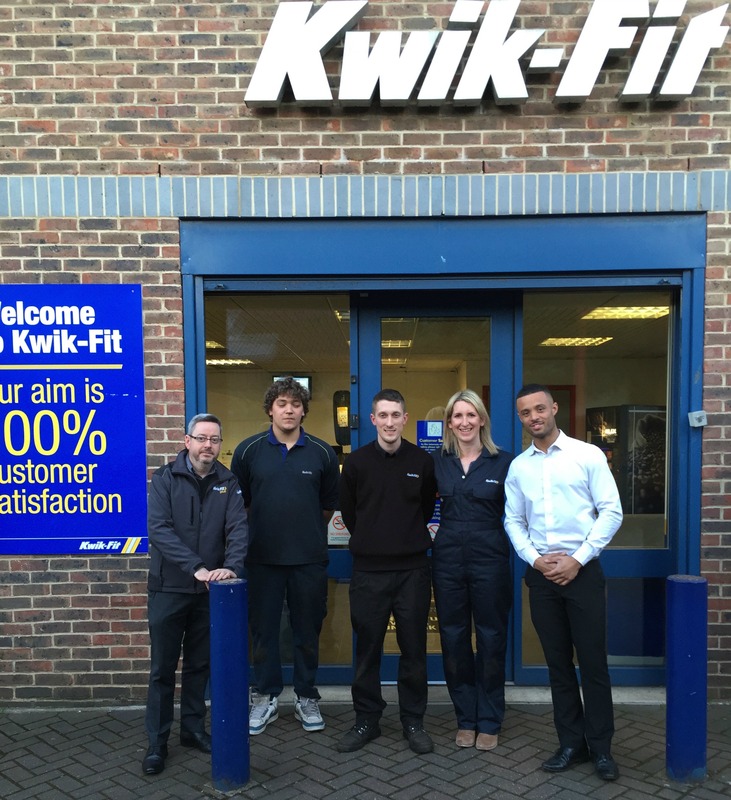 My husband had been “reminding” me for ages to get the tyres checked on “my car”, so imagine my delight when I saw a sign saying ‘Free Air and Water’ at the Kwik-Fit in town. No faffing with 20ps and ungainly displays of my behind as I fill up at the garage. A nice person could do it for me. “They’re all fine,” the friendly manager told me. “Ha! I’ll tell my husband he was wrong,” I said gleefully. Adrian, for that was his name, then invited me to the forthcoming Car-Care Evening for Ladies (though he said men could also come along, and they run general car-care evenings too). “There’ll be biscuits,” he said, as if reading my mind. 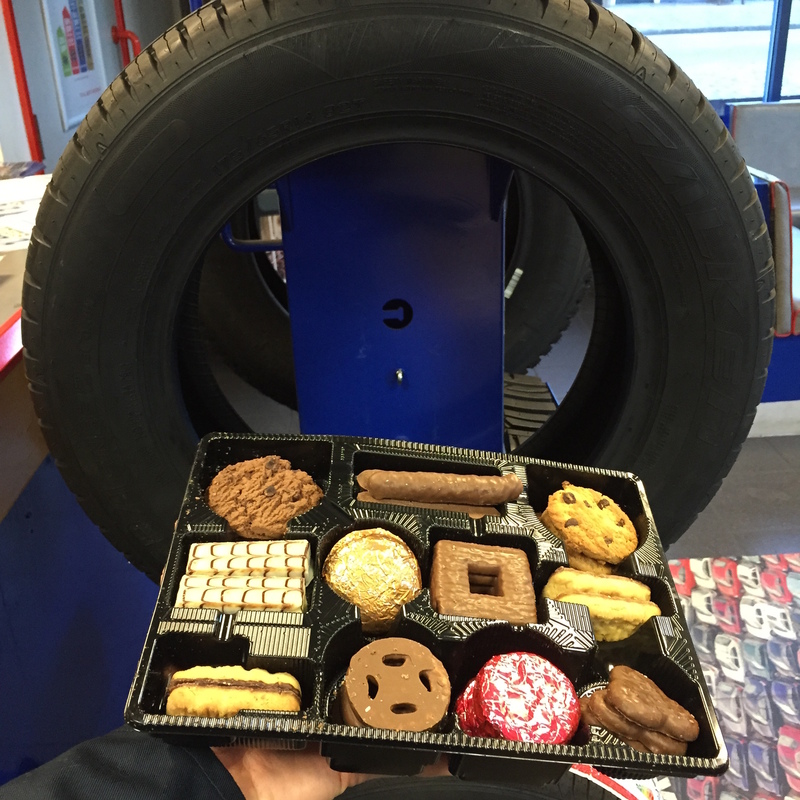 Tyre and biscuits, any one? Relieved that I hadn’t been enticed along on false pretences, I was happy to don the proferred overalls (you don’t have to – I just wanted to get into the spirit of it). Then we were straight into some – heavily supervised – action. Yep, I changed this tyre all by myself! (You can just watch how if you don’t want to have a go yourself, but I was wearing overalls – I wanted to use them!) It felt good to finally know how to do it – one of my (many) motherhood fears is that I’ll be stranded with a flat with the children in the car and no phone signal. It’s nice to think I wouldn’t have to wait for a knight in shining armour – or trek along the hard shoulder with three young children. Then it was time to get under the hood. Now, I hope I am not alone here, but I have always thought that bonnet opening was sorcery. “Stand aside, I’ll do it,” my husband will say, reaching under the steering wheel with – I swear – some sort of car-and-master secret handshake before using the top secret button activated only by fingerprint recognition. The hood pops and I am none the wiser. Luckily, Adrian and his team were super helpful, answering the dumbest of questions without even a flicker. I was really put at ease in my state of ignorance and they couldn’t have been nicer or more patient teachers. IT’S A RUDDY GREAT LEVER! Who knew? Not me, obvs! 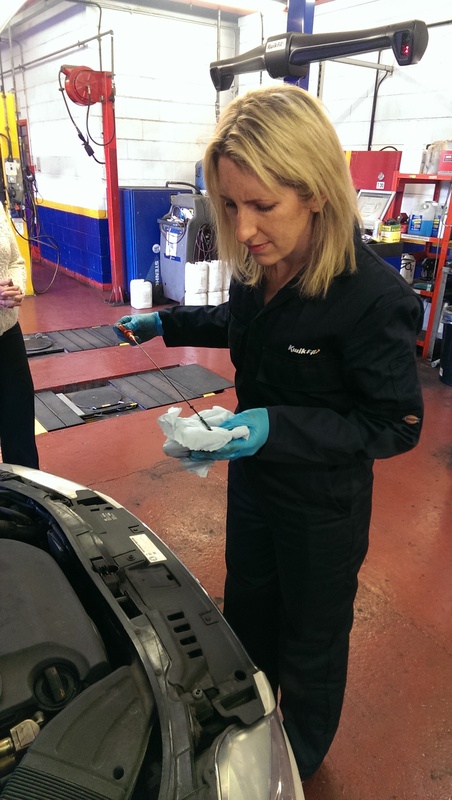 So we were shown around the engine, specifically the bits you need to fill up occasionally: oil and screen wash you can do yourself, brake fluid and coolant – leave to the garage. Handy Fact: Why shouldn’t you fill up your screen wash with plain water? Answer: Because it could freeze and cause the container to crack. You should use screen wash – or vodka, as my husband did last time, causing me to gag on the school run for months. Any (diluted) alcohol will work – though I suspect Bailey’s would be a bit smeary. Adrian and the team then showed us some tyres that were dodgy for various reasons that we had to spot. 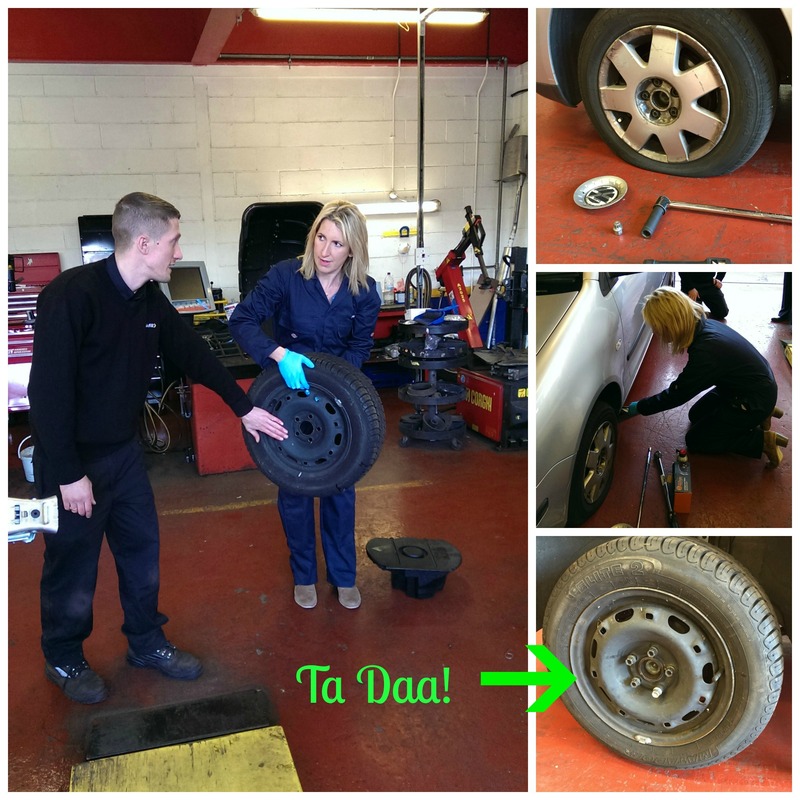 With some heavy prompting, we managed it, and in the process learnt that if you think your tyres are wearing unevenly, you can pop into Kwik-Fit to have them realigned. At the end, we had a quiz. Riding high on my bonnet-opening success, and through mouthfuls of white chocolate wafer, I smashed it. (It helped that we’d just been told all the answers throughout the session). Quick group shot and that was it. An evening well spent! It felt good to have learned something really useful, and feel a little less clueless about cars. And to have finally busted my husband’s hood-popping powers. 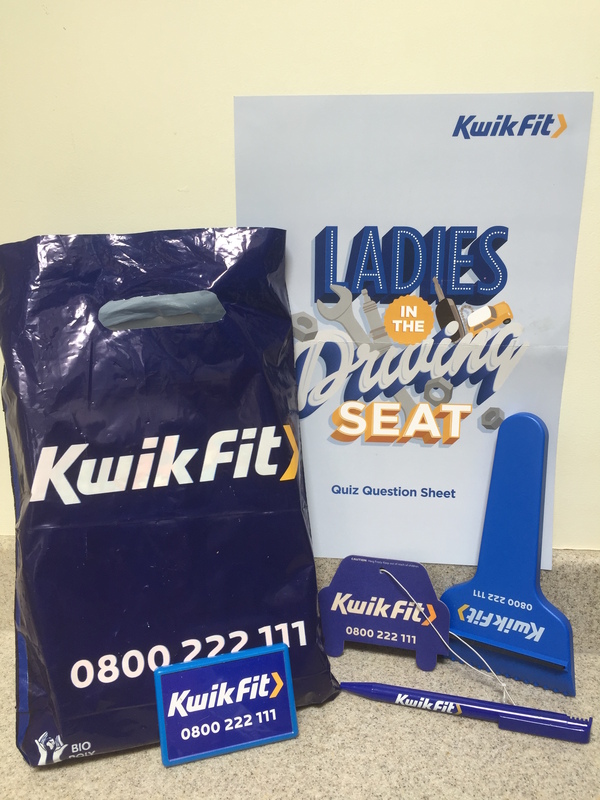 If you fancy learning a bit more about your motor, give your nearest Kwik-Fit branch a ring and you too could arrive a mummy, leave a mechanic. And you even get a goodie bag! 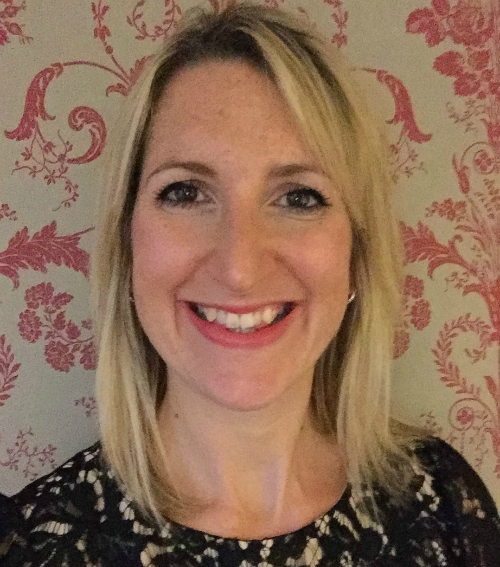 I am delighted to be on the Family shortlist for BritMums’ Brilliance in Blogging Awards. If you’d like to vote, please click here! Voting closes on May 15th. I’d also massively appreciate your nomination in the MADS Blog Awards – you can vote here. I qualify for Best Pre-School Blog, Best School Days Blog and Best Writer. Nominations close on May 20th. That is fantastic! What a great idea! Kim Carberry recently posted…Vita Coco Kids – Review & Blogger Challenge! Love the idea of this. I can actually do dip stick, screenwash (loved the smeary baileys idea (-I chortled reading that!) and I know the theory of changing a tyre. The only problem is that getting the wheel nuts off is a nightmare. I’ve also changed light bulbs too – although that was a saxo which was easy. Now I go to Halfords because I can never get into them – they say it’s harder now. I am very impressed, Emma! You’re right – they did admit they’d loosened the bolts before we arrived so I’m not sure I’d be able to do it if it actually came to it. But at least I’d know how to try! This post totally caught my eye, because I have started working for my local garage. They’re an independent, family-run, and excellent little oasis of car-heaven in South Wimbledon. I’ve always been interested in cars (this is starting to come through with some of the content on my blog), and basically stalked my mechanic until he agreed to work with me, with me creating and running their social media, as well as creating and writing their blog. I love it. I love cars and being able to do basic things with your car to keep it on the road is something I feel that all drivers should know. This is great that you’ve taken the time to learn this. I’ve known how to change a tyre (amongst other things) since I was a teen, thanks to my dad. I had to put it into practice the other week. It is so simple. 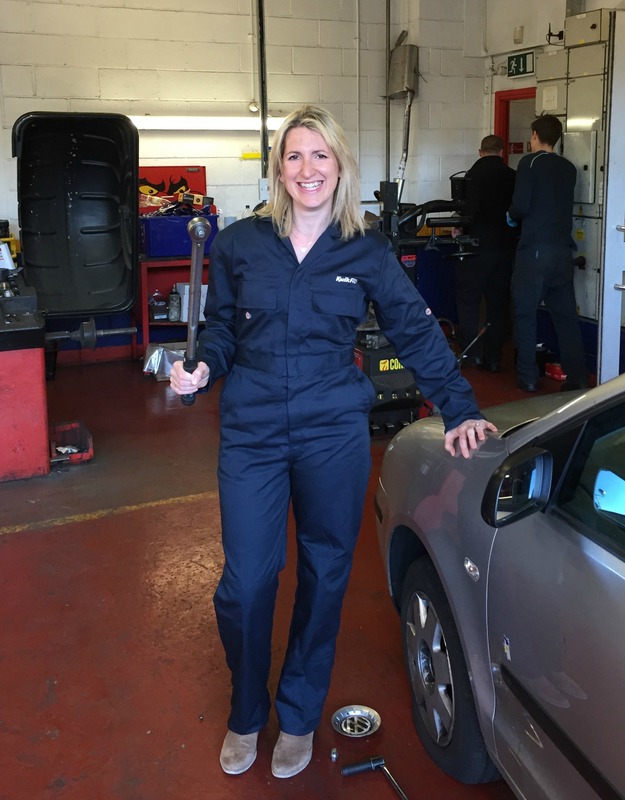 I’m wanting to encourage my mechanic to run a monthly or fortnightly workshop for women (or anyone who needs it) to learn these basic skills – changing tyres, checking oil, checking water, changing a headlight bulb… all really basic things. You’ve also just reminded me that I need some overalls. 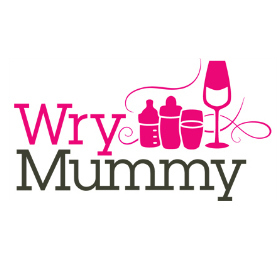 Fiona @ Free Range Chick recently posted…What, it isn’t just the day after Britmums Live 2015?